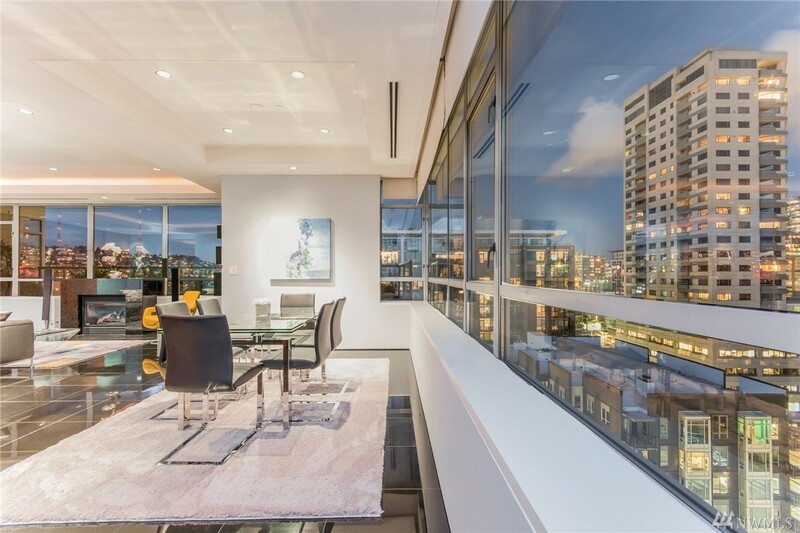 A new Seattle penthouse just hit the market at Avenue One in Belltown. It’s listed at $1,325,000. 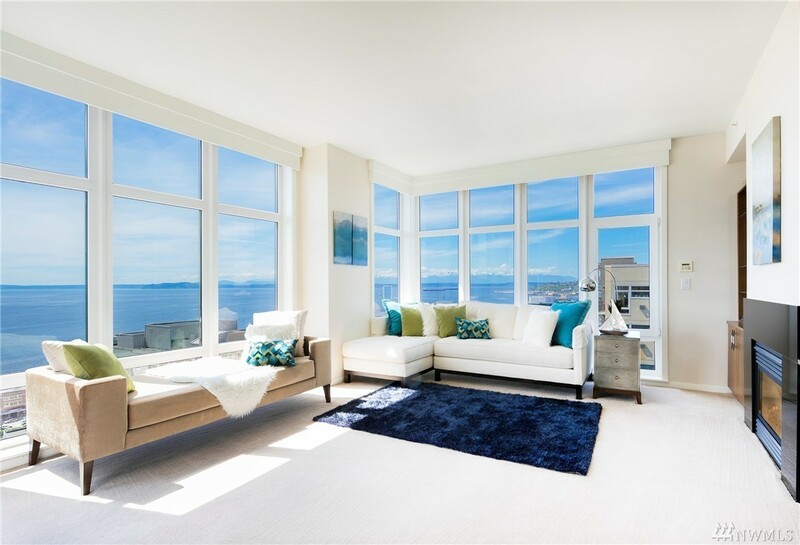 The 2 bedroom, 1.75 bath top floor unit offers 1,338sf with pretty stunning west facing views. 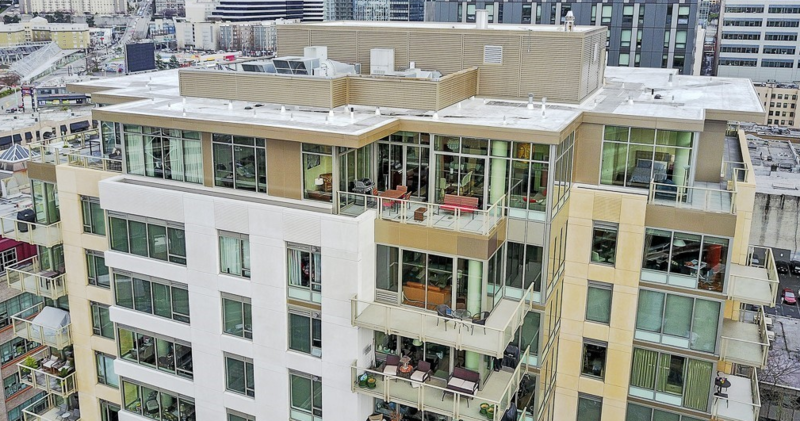 It was last purchased in 2005 for $995,000 when it was originally purchased from the developer. 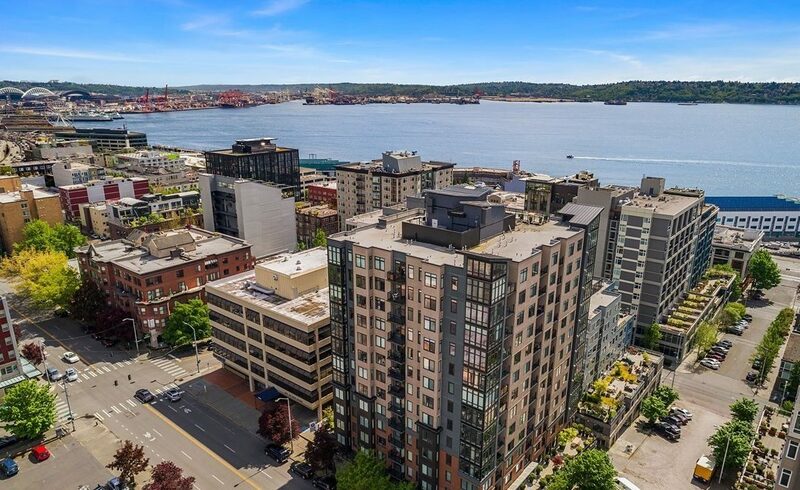 Avenue One is located at the corner of 1st and Clay in the heart of Belltown. The building was designed by GGLO and developed by Intracorp. Built in 2005, the building has 116 homes on 13 floors. Looking for something a little more expensive? 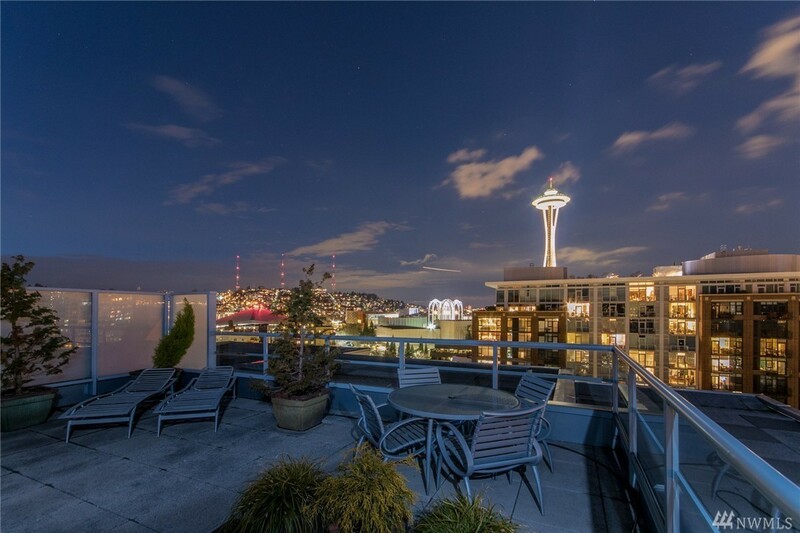 A few weeks ago we posted the 3 highest priced Seattle penthouse condos currently on the market. It was purchased in June of 2014 for $1,700,000. Now back on the market this rare 3 bedroom, 2.5 bath top floor space is looking for a new buyer. 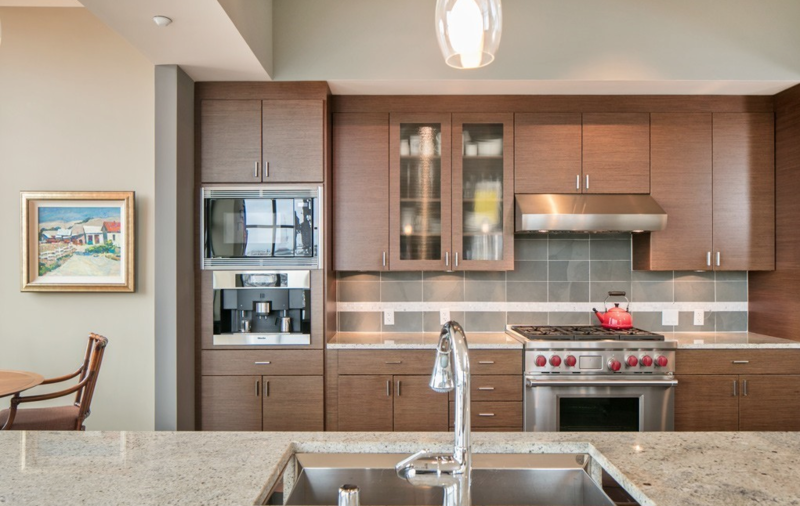 The square footage of the unit is just over 2,000sf. 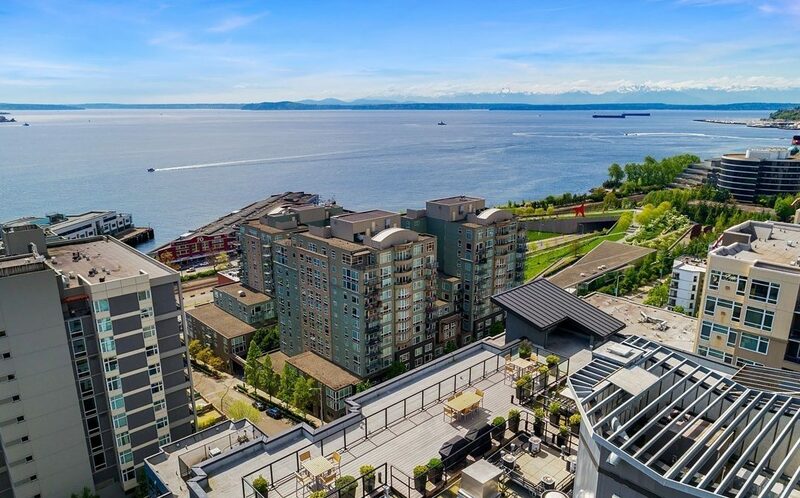 It has floor to ceiling glass, panoramic views of the city and includes 2 parking stalls and 2 storage lockers. We like the owners art-work and the kudos to the photographer for taking some incredible photos. This unit won’t last long. It is priced to sell and we love the building. 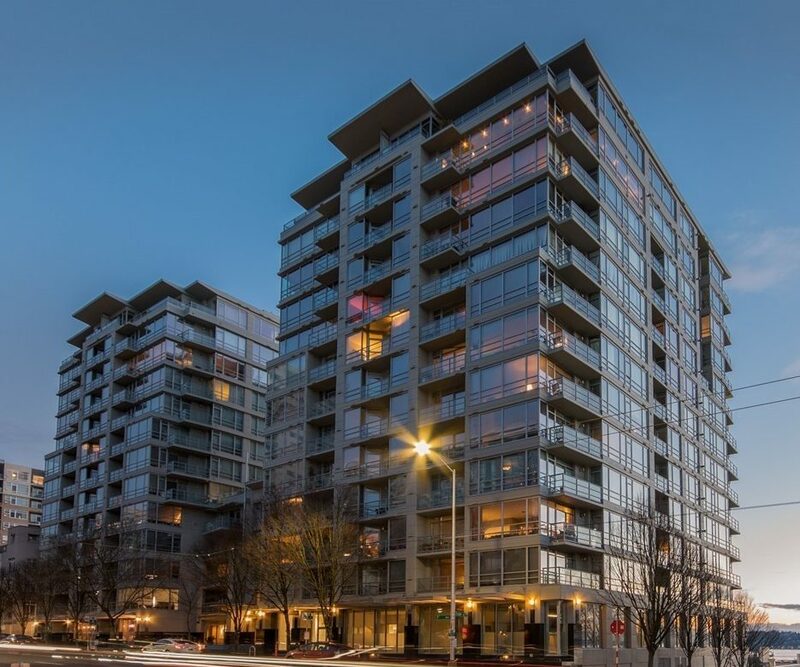 5th and Madison is a concrete and steel building with a great location. 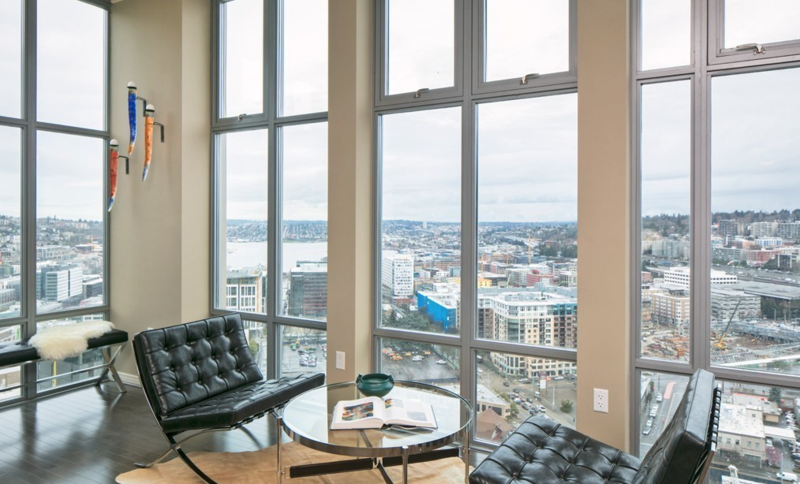 Just 2 blocks away from the freeway and walking distance to Pioneer Square of the Downtown Seattle waterfront. 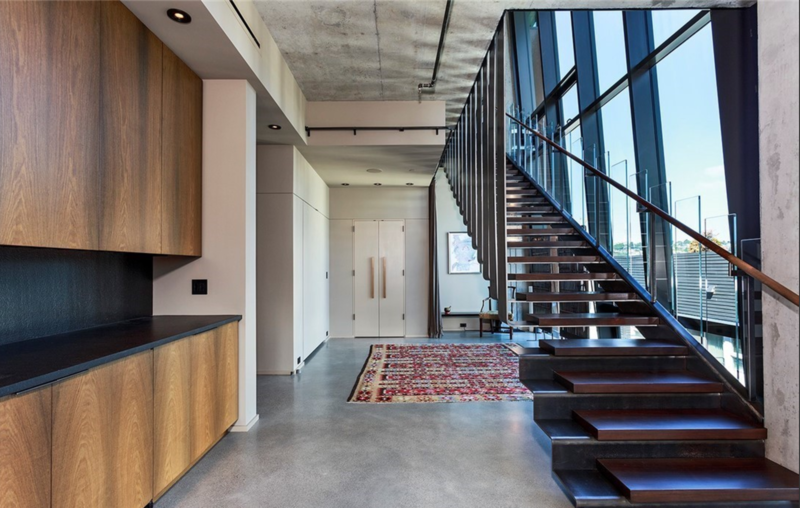 Not the right penthouse for you? 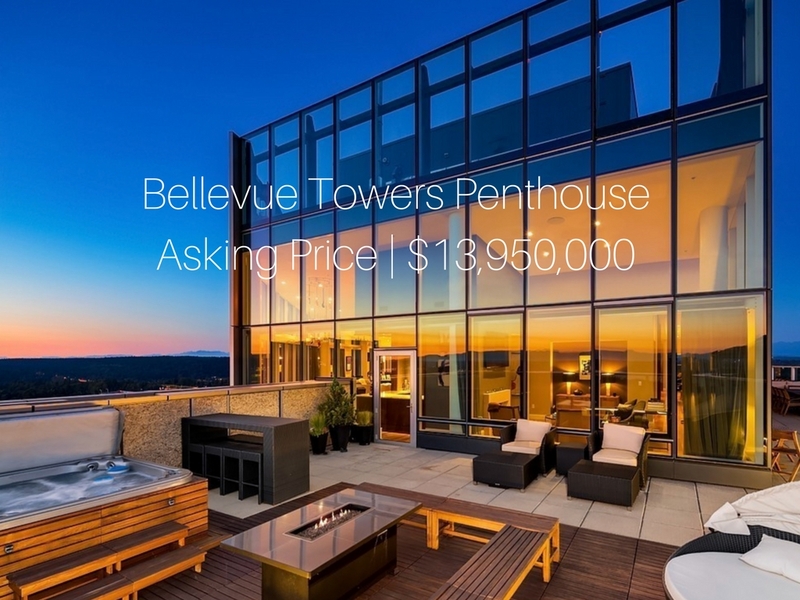 We made a list of the 3 most expensive Seattle Penthouse condos late last week – check it out. 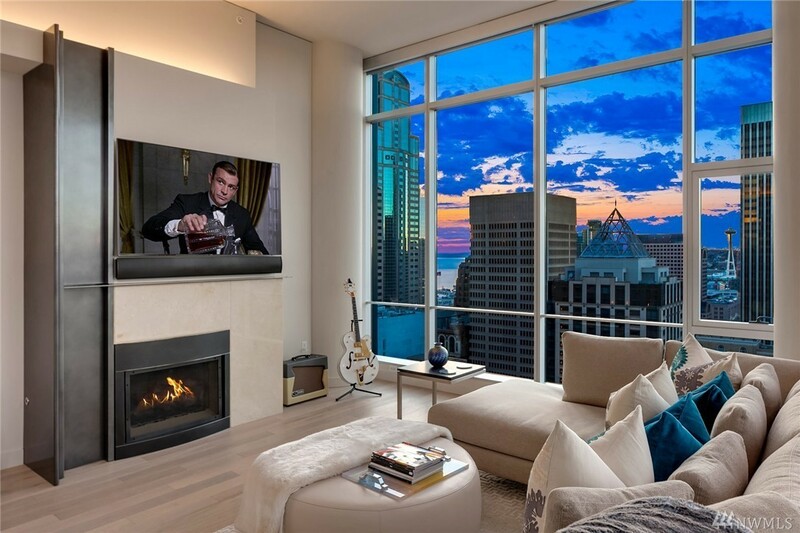 I love nothing more than a fresh cup of coffee on a Saturday morning and new penthouse that hits the market! 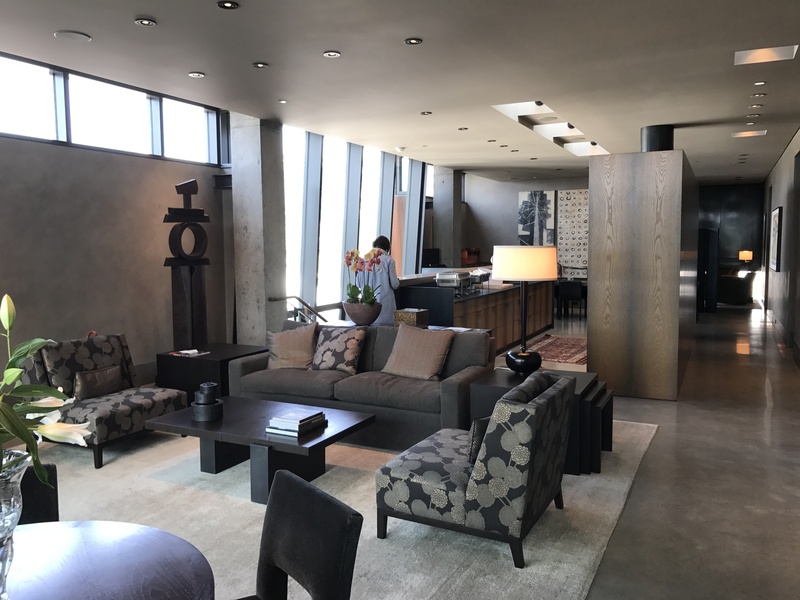 Check out this incredible top floor space at The Cosmopolitan. 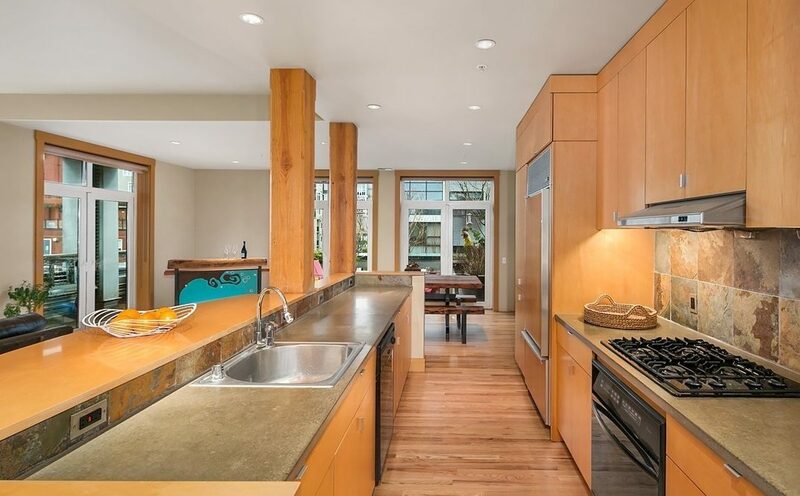 At 1,878sf, it has 2 bedrooms and 2.5 baths. 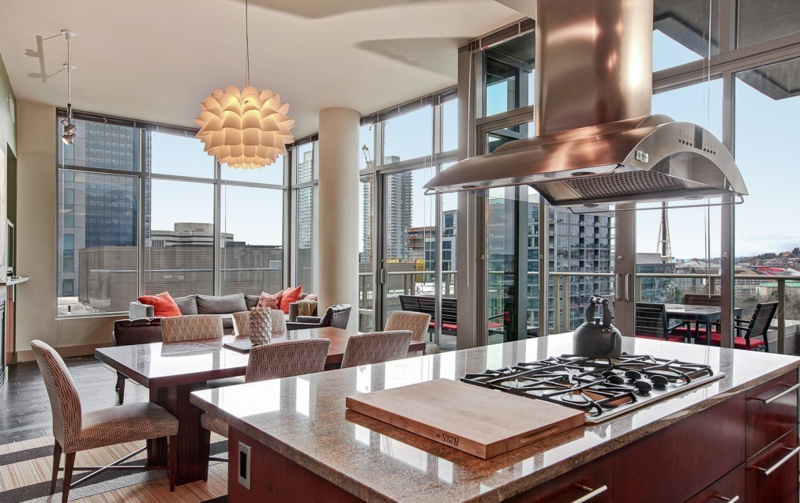 Full to ceiling windows, high end appliances and a chefs kitchen highlight the interiors of this opulent space. 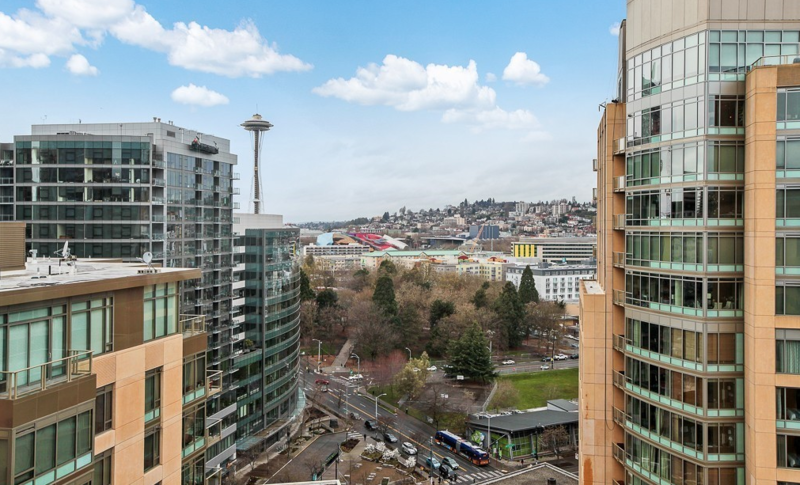 For those of you that are not familiar with the Cosmopolitan, it is located in the heart of the Denny Triangle. 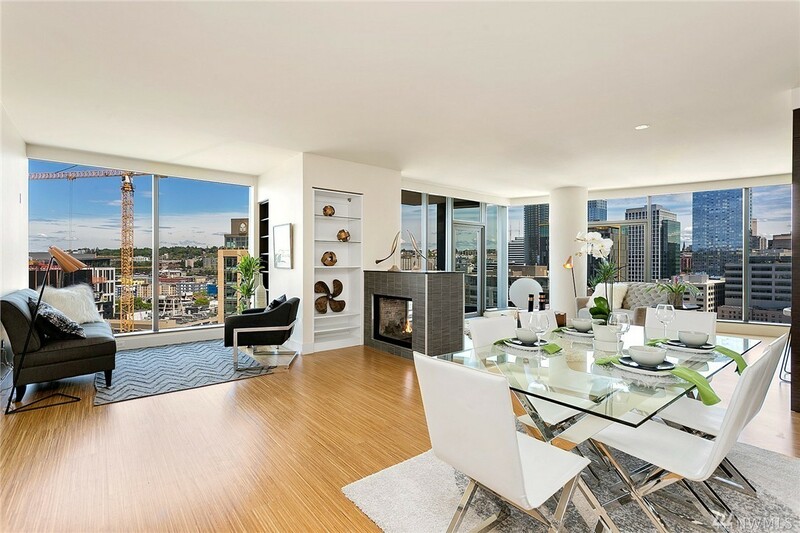 The building has always been popular with investors as it does not have a rental cap. The project has residential units from floor 9-34. 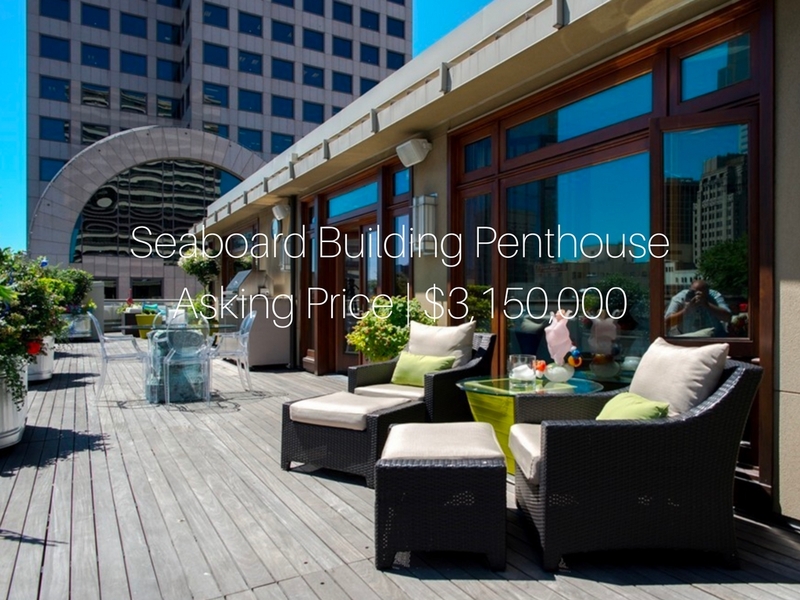 Amenities include 24 hour doorman, business center, homeowners lounge, spa, sauna, fitness and rooftop deck. 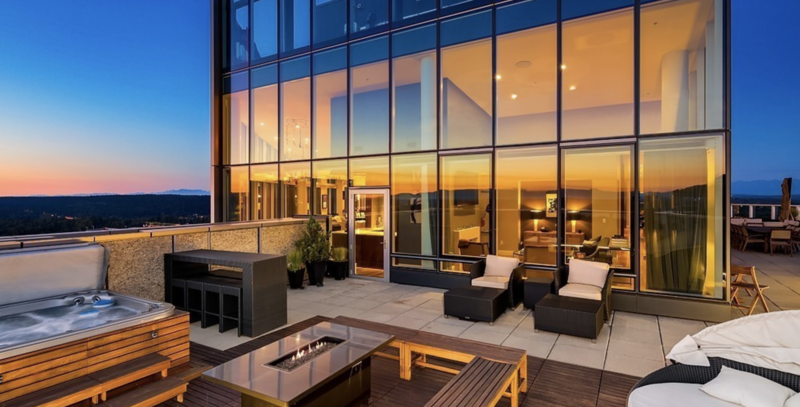 Penthouse 7 at the Concord is back on the market in North Belltown. 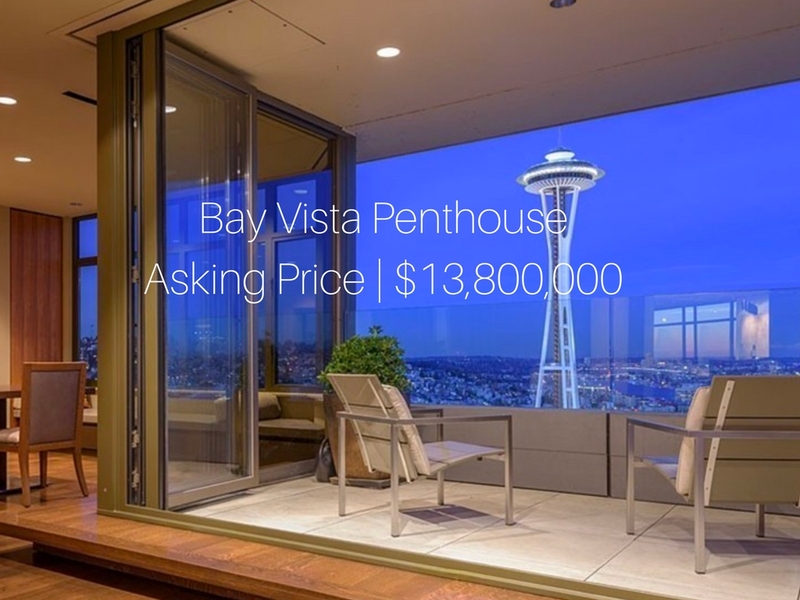 It sold in 2014 for $1,400,000, came back on the market in January of 2016 for $1,850,000 and is now back on the market at $1,699,800. 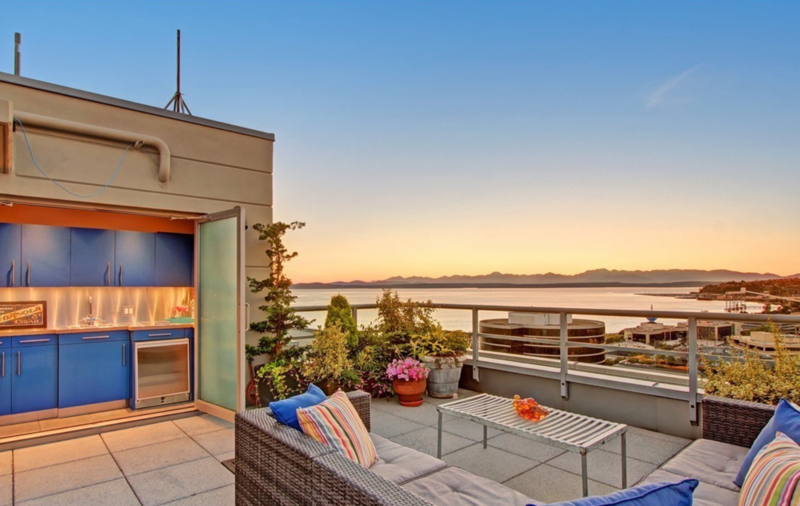 It is a really cool 2 story unit. 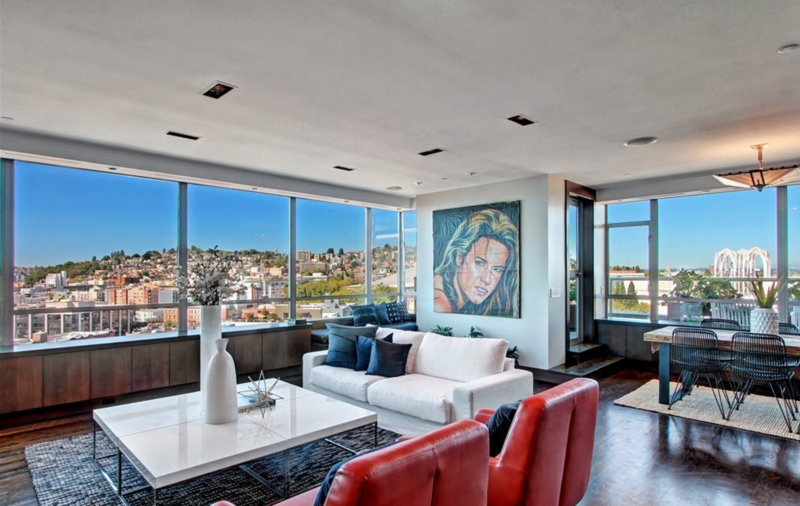 It has a large floor plan with big windows, great views and a killer rooftop deck. 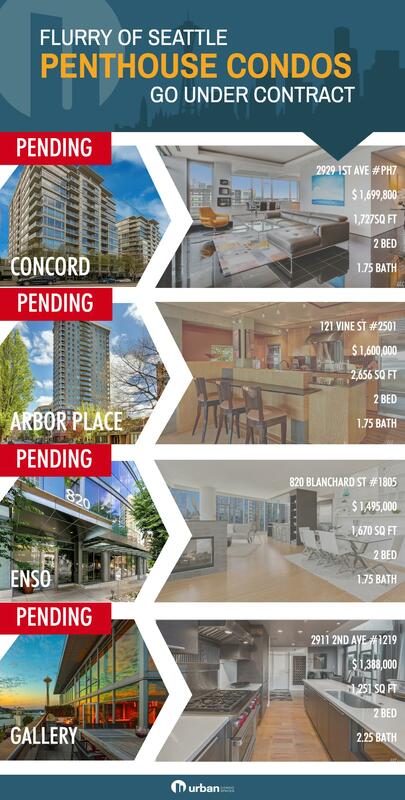 Concord has great amenities including, 24 hour concierge, fitness, spa, business and guest suites. 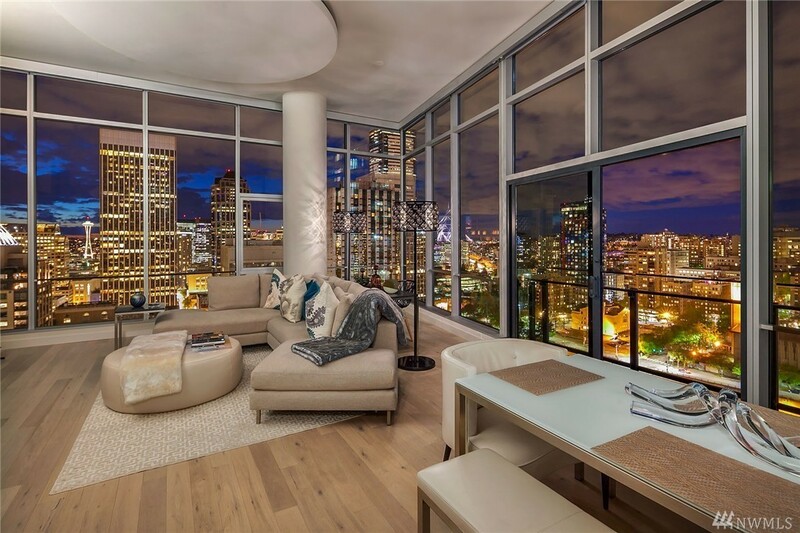 This is the current list of the Penthouse units for sale in Downtown Seattle. 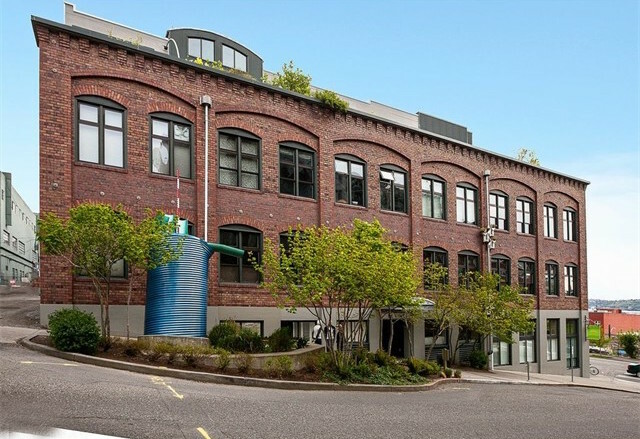 A historic and restored Seattle printing factory has provided an awesome space for the residents at 81 Vine in Belltown. 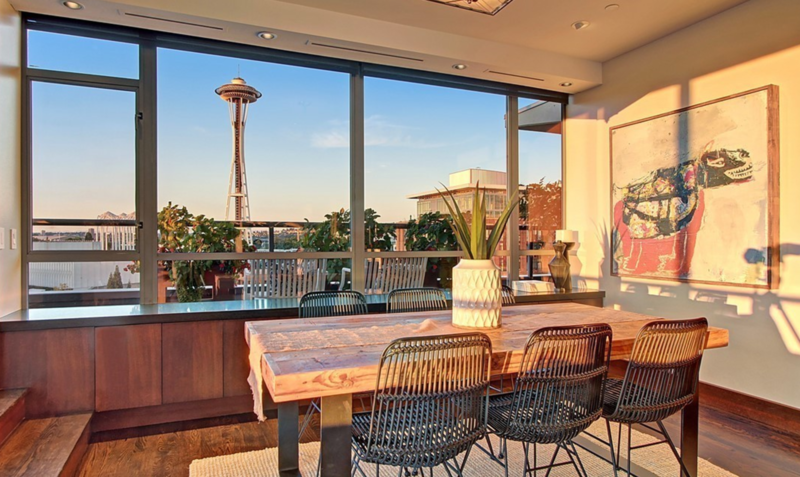 Check out this Seattle penthouse with over 1,400sf of living space and some very cool interiors. 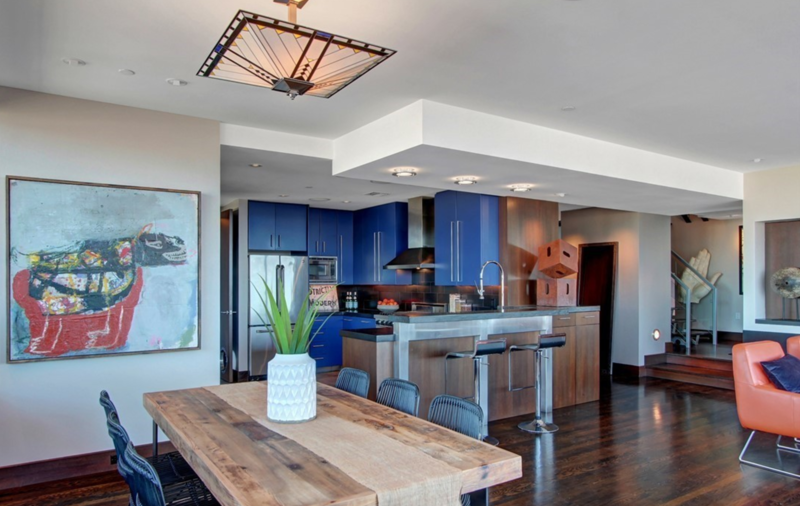 It has 1 bedroom and 1.5 baths with high ceilings, arched windows, exposed timber beams and 2 private terraces. 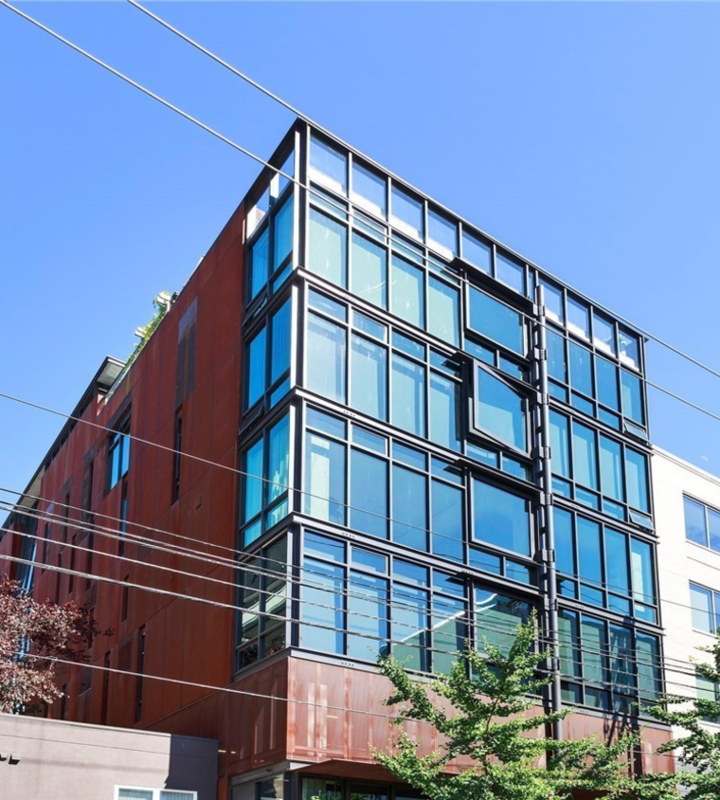 81 Vine was built as a printing factory in 1914 – It was renovated in 1999 by Geiser Architects and was also home to Jeff Bezos early on in his career.